It’s safe to say that it’s been a pretty bumpy ride for fans of the hockey mask-wearing, machete-toting killer, Jason Voorhees. On the one hand, the Friday The 13th film series is sadly in an unfortunate state of legal limbo (boo!). Though on the other hand, there’s been a super popular resurgence in the property thanks to Gun Media’s brilliant, constantly evolving hunt-‘em-up sensation Friday The 13th: The Game. But are there any other video games centered around the iconic madman that you can sink your teeth into? Well, lucky for you, there’s Blue Wizard Digital’s Friday The 13th: Killer Puzzle, which recently released on mobile platforms. The good news is that it’s coming to Steam as well, and on a very appropriate date indeed: Friday, April 13th. Nicely done! The elevator pitch for the soon-to-be-released PC title is that you take control of the infamous Jason Voorhees and must maneuver around an isometric puzzle-filled environment to murder his unlucky victims, either directly (with the ol’ machete, for example) or indirectly (by using an environmental hazard of your choosing). You’ll not only be hunting down those pesky Crystal Lake campers, either, but the 100 levels that the game boasts will also take you through the high-rises of Manhattan, a handful of creepy prisons and even… space. You know, for all you Jason X fans out there. 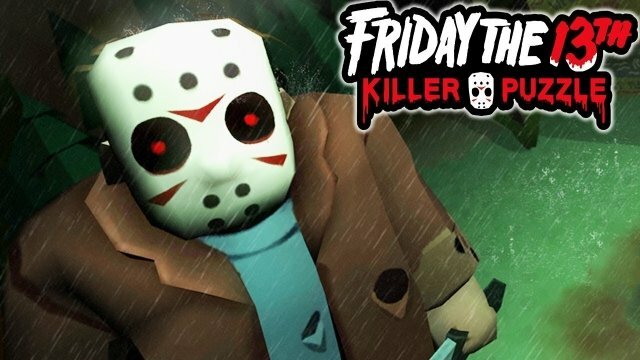 Friday The 13th: Killer Puzzle is the fourth official game based on the license and is being developed by the folks who brought us Slayaway Camp, another comically gory love-letter to all those slasher flicks from the 1980s, very much akin to Jason’s famous horror series – which certainly has us excited for this one.